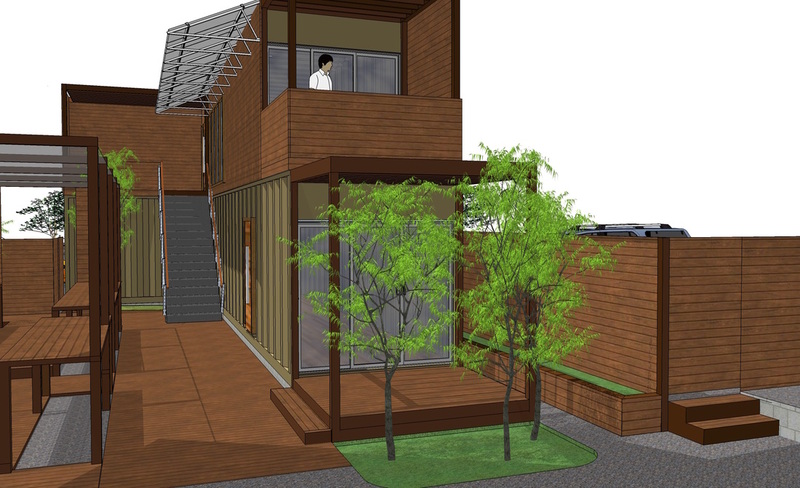 The new education center’s second floor, home to the Garden Market owners, will become a real-world example of living a low- to no-impact lifestyle. Custom designed by Hale Architecture of Wake Forest this 2,350 square foot structure will demonstrate all of the latest in green products and technology, near-zero energy design, sustainable building materials, solar heating and electric features, drought-tolerant landscaping choices specific to the region and its easy-to-use 1,000 gallon rainwater catchment system for irrigation. In addition to helping you explore eco-friendly design choices, the education center will also demonstrate the many ways we can reduce our carbon footprint outside the home. This includes living near one’s workplace, green transportation options and sustainable food choices that ensure land is being use responsibly for the benefit of future generations. Learning by example, we hope one will leave HOME@TGM with both the resources and knowledge they need to help reduce their carbon footprint. Water saving measures by flushing toilets with "gray water"
Interested in becoming a Product Sponsor?